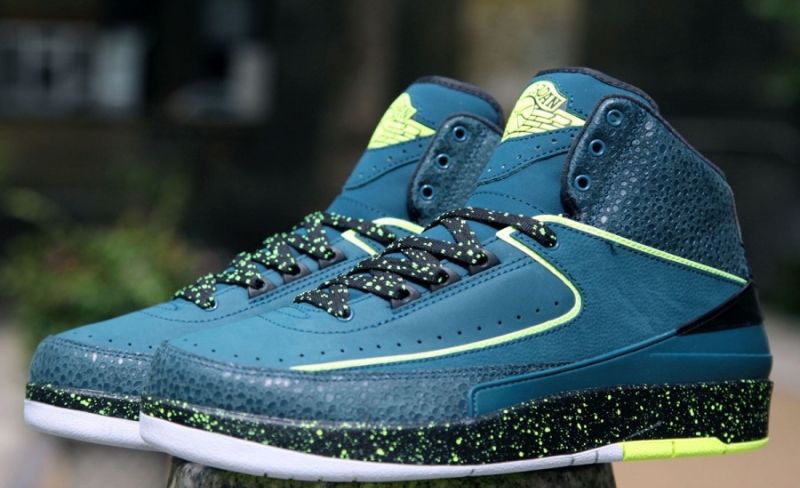 This all new color way of the Air Jordan 2 is part of the вЂњNightshadeвЂќ make up that has also been applied onto the Air Jordan 11. The sneaker sports a green Nightshade on embossed leather while Black is put on the heel, midsole, and laces. Finally, Volt is applied on the laces, speckled midsole, tongue logo, and outline of the side. A white / volt outsole finishes up this new color way.